Map of work ready communities and participating states across the country. FRANKLIN — One of the biggest issues facing our workforce today is not the lack of jobs available, but that open jobs do not always align with the skills of the workers available. That's why numerous counties across the country are taking steps to better prepare their communities for careers that are and will soon be in high demand. 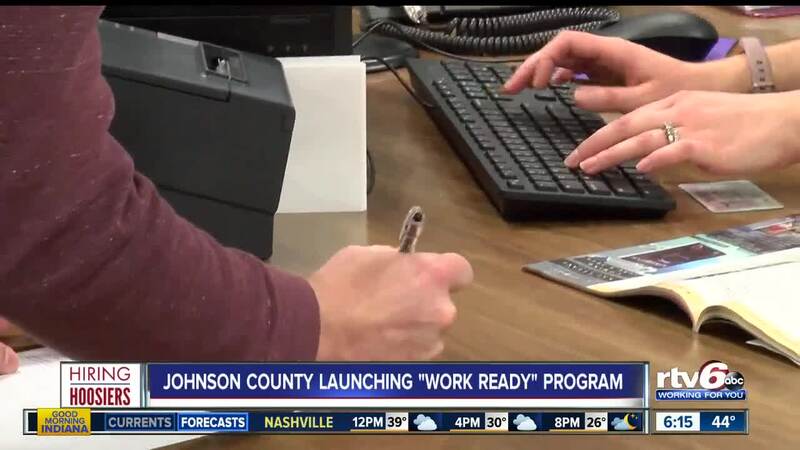 Johnson County is now joining that effort and has launched a program to get prospective employees work ready. "That's why this is such a perfect time to start this because we really are attracting so much business," Dana Monson, of the Johnson County Development Corporation, said. "Employees go in and they earn the NCRC which is the National Career Readiness Certification, that certification shows what their skills truly are." ACT Work Ready Communities is a national framework to build community-based eco-systems to link, align and match America's workforce to jobs in demand right now. The program uses what is called the ACT Workkeys and National Career Readiness Certificate (NCRC) to help match workers' skills to jobs. For employers who are seeking workers, the program helps reduce hiring costs, improves retention, increases hiring effectiveness and helps them seek better applicants within the community in which they are located. For prospective employees, getting the certification helps them to find a job that matches their skill set which means they are more likely to keep that job because it aligns with what they can actually do. For educators who have their students take the NCRC test, it prepares students for workplace success, helps to close the skills gap, certifies them and their skills, and helps industries recognize their unique abilities. The Indiana Department of Workforce Development is covering the cost of the testing for any person seeking employment. It also provides career readiness online training free of charge for any Indiana resident. In Johnson County, residents can take the NCRC test online at WorkOne Franklin, Central Nine Career Center and also any Johnson County Public Library location. The staff at these locations are ready to assist you in getting logged in and set up. You cannot use a phone or device on the test, and you cannot use any test materials. You also need to bring a photo ID in order to verify your address and be logged in to the system. Lisa Lintner, executive director of the Johnson County Public Library, said her staff is trained to assist anyone who comes in to take this test. "If people are not really satisfied with their scores, our staff are able to help them develop some skills to improve their scores," she said. After the test, the system awards you with certifications in various skills. It can be anything from silver, to gold to platinum in areas like mathematics. Then employers can have their open positions profiled and see what level of skills they need and find matches based on these certifications. If you live in Johnson County and are an employer or if you are looking for work and have a specific question about this certification, you can connect with Dana Monson at dmonson@jcdc.org or call 317-736-4300.